The mystery of the invincible oil subsidies. Here is a news article from the US, about the subsidies that oil and gas companies receive. The UK Government also provides subsidies to oil and gas companies. An example of this, is the reduction in corporation tax for the North Sea oil and gas operators. As the video infers, this is because of the level of political donations received by the politicians. Except in the UK, it is Party political donations that are the problem along with lobbyists. And a great number of the British public are not aware of these subsidies, and blame their high energy bills on subsidies for renewable technology. Renewable technology receives a fraction of the subsidies the oil and gas companies receive. And nowhere near the £50 billion the nuclear industry has received so far. And it will cost more than £50 billion for the clean-up of the decommissioned nuclear plants. The USA’s nomination for leader of the World Bank, is anti-growth. If you want to head up the IMF or the World Bank, there is one belief that you surely must hold, and that is that growth is a good thing. The US thought it was being clever when it nominated Jim Yong Kim – a South Korean born medical expert, who once headed the Wealth Health Organisation – to be the news boss at the World Bank. By opting for someone with such obvious eastern links, the US hoped it could head off criticism that the top man at the World Bank is always American. Lets hope, he is selected as the boss of the World Bank, for the sake of the Planet. 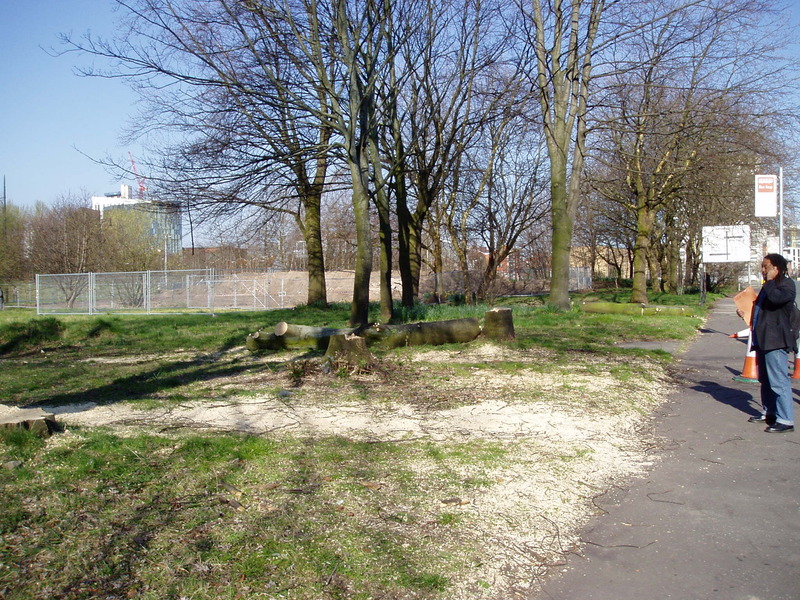 Six trees in total were felled on Birley Fields along Bonsall Street opposite the Post Office. This area was Phase 2 of the planning application and only had provisional planning application and was not supposed to commence until the completion of Phase 1. 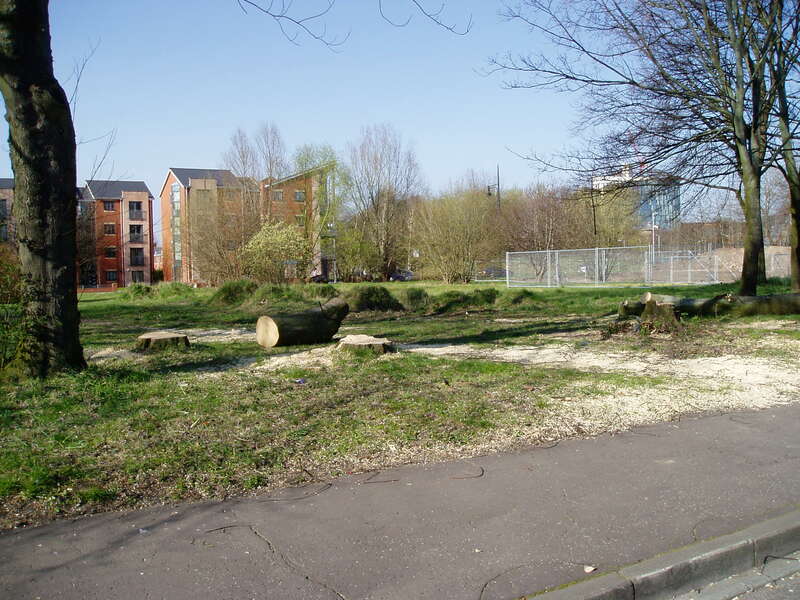 So why have these trees been felled? What is Manchester City Council going to do about it? 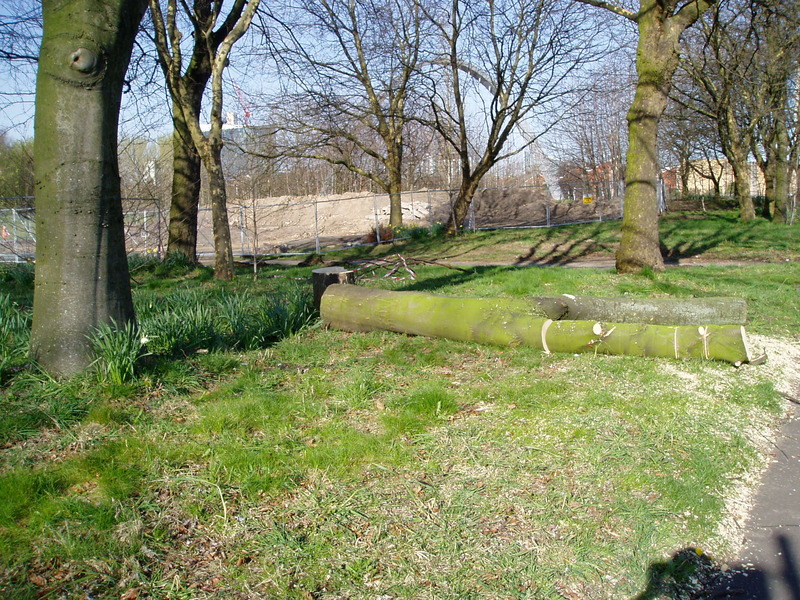 Manchester Metroploitan University’s tree felling has begun in earnest. Climate East Midlands – The Regional Climate Change Partnership. A fair assessment of the budget and what it really means for the majority. Faiza Shaheen – Budget 2012: Inequality set to rise | the new economics foundation. The Co-operative Group, which makes a big play on being a co-operative and being ethical. It is neither, as it is actually run as any business model, and is concerned solely on maximising profits. Not serving it’s members or communities it has shops in. Their business model is the complete opposite to that of the Rochdale Pioneers. More Co-operative Group jobs under threat | Manchester Evening News – menmedia.co.uk. Castlefield Locks Waste Water Problems Investigated | Property & Business | Manchester Confidential. Most of the new developments are of sub-standard nature. 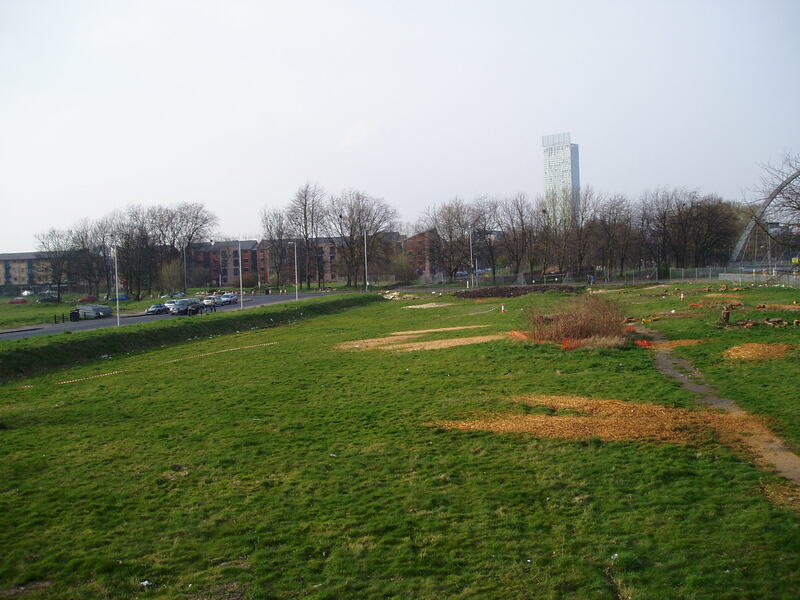 The Bellway (Hellway) properties in Hulme are a prime example. But Manchester City Council is happy to Compulsory Purchase well built council homes, so that developers can build their sub-standard properties and sell them at ridiculous prices. Government increases Beer Duty, yet again. As Ed Milliband has stated, this is a millionaire’s budget on top of axing the 50p tax rate and other measures which ensure this country remains a tax-haven for the most corrupt. Here is a press statement about the Government’s increase in Beer Duty from CAMRA. Beer being the ‘working-classes’ preferred beverage for socialising with. Unlike Spirits and Champagne which Gordon Brown did not increase duty on. And it is spirits, most of which is imported, is the cause in the increase in young people being admitted to A&E and increasing health problems. The Campaign for Real Ale, has today lambasted the Government for its careless approach to one of Britain’s most valued institutions, the pub, as a further inflation plus 2% increase on beer will bring about yet more price rises at the bar, and further job losses in the sector. With around £1 on every pint going to the Treasury in beer duty and VAT, CAMRA has reacted to today’s news by urging its 136,000 members and all pub goers to sign an industry backed e-petition to remove the beer duty escalator- www.camra.org.uk/saveyourpint. The e-petition has today been backed by CAMRA, the British Beer and Pub Association (BBPA), and the Society of Independent Brewers (SIBA). With the beer and pub industry supporting almost 1 million jobs and contributing £21 billion to UK GDP, CAMRA has condemned the Government for imposing punitive successive tax increases, which will impact both breweries at production level, and drinkers at the bar. ‘The fact Britons are forced to pay over 40% of the EU beer tax bill, but consume only 13% of the beer sold in Europe, is remarkable. British beer in a pub is so heavily hit with duty and VAT, the tax man’s whirlwind hikes translate to him guzzling a third of every pint served, a shadow cast over the beer drinker depriving people of an affordable night down their local.